Ben Rimalower’s addiction to spending beyond his means has driven him to extreme lengths all his life. In BAD WITH MONEY he charts his sometimes hilarious, sometimes harrowing struggle to overcome his problem—or get rich trying. 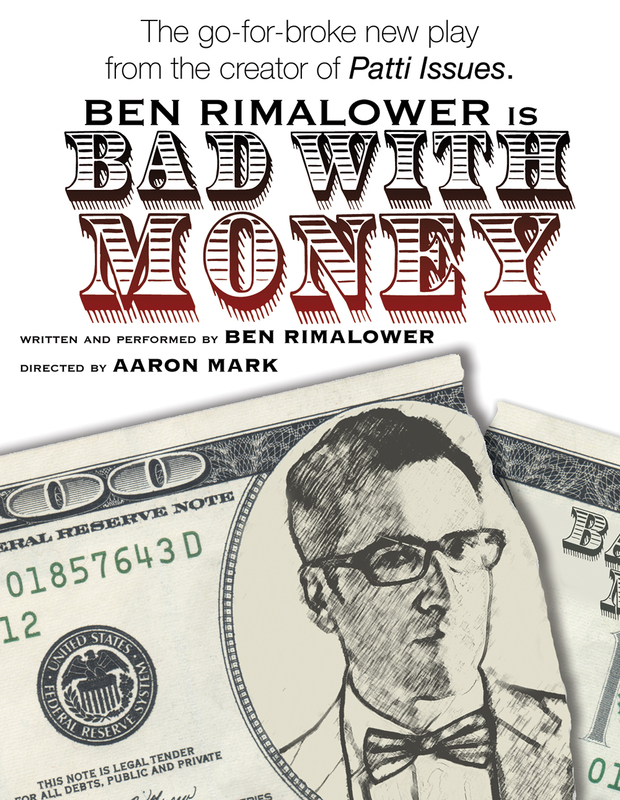 Written and performed by Ben Rimalower and directed by Aaron Mark, BAD WITH MONEY continues it’s run at The Duplex (61 Christopher Street at Seventh Avenue) from January 7th to February 26th. Rimalower’s first solo show, the long-running hit Patti Issues, explored his obsession with Broadway diva Patti LuPone and his relationship with his troubled gay father. Bad with Money delves into even deeper personal territory with the story of his struggle with debt—a journey that takes him through drug addiction, prostitution, fraud and multiple betrayals. PurplePass.com or 1-800-316-8559. You must be at least 21 years old to attend. Please visit BAD WITH MONEY at www.BadWithMoney.net and www.facebook.com/BadWithMoney.